Learn SEO in Urdu | SEO Tutorials in Urdu | 2018 - XpertShout Yayın bulunmaktadır. 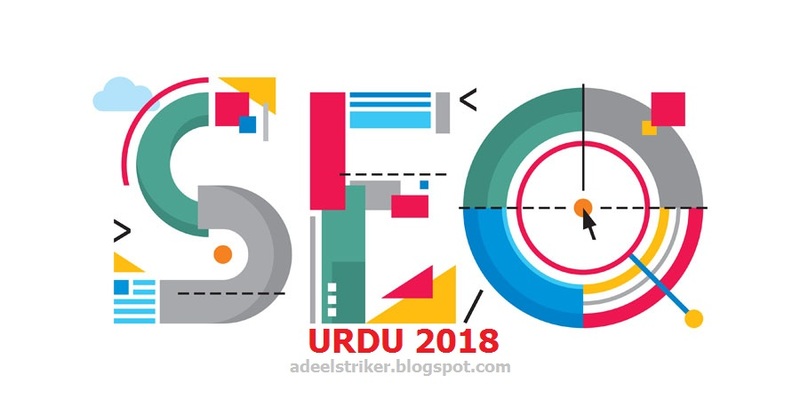 Today XpertShout will share Learn SEO in Urdu and SEO Tutorials in Urdu 2018. Search engine Optimization is most important factor now a days. I am giving details of SEO in Urdu, written by Urdu Courses admin. SEO in Urdu ajkal har website k lie important ban chuka hy. Q k Google ne apne search engine ko update kia hy. Aur ab woh bghair SEO wali websites ko rank nni kar raha. Jab tak kc post ka SEO complete na ho woh post boht kam rank ho pati hy. Is lie aj apko SEO in Urdu bataunga. Below i am providing SEO in Urdu course in detail. No need to Watch videos and waste internet mbs and money. No need to waste money by buying SEO courses. let's start SEO in Urdu. hai. Web sites ka apas main compition barhta ja raha hai. companies professional SEO masters hire kr rahe hain. Aur nai nai SEO krny wali companies markeet main aa rahe hain. Seo krny ka basic maqsad visiters. SEO aik automatic machine ky jaisy hai. K bs aik bar chala dain aur yeh sari umar chalte rahy ge. Han Grees tu waqfy waqfy sy dalne pary ge. Likin baat sirf apni sites ke nahi hai. Compitition ke hai. Agay barhny ke hai. SEO yeh nain hai ky koi Google main apke site ka naam likhy woh aur 1st page pr ajai. SEO yeh hai k kisi bndy ko kisi software. Games, book, ke zaroorat ho aur woh bnda google main woh software ka naam likhay aur search Result main apke site, apka blog ajai. dainy ko kaha jai. Apna site ka link wahan dai dain. SEO ky 2 parts hain, internel Seo, aur external seo, internel seo main Site ko Search engine kelye optimize krna hota hai aur external seo main site ko search engine main optimize krna hota hai. Internal seo main sb sy pehly domain ate hai. templates achay hon. Ziada gehry na hon. Aur flash b km use ho. Internal seo main next keyword aty hain. Keyword head main meta tag main likhy jaty hain. Dunya main sb sy ziada aur commen keyword "free" hai aur new internet user google main search b free ky word sy start krty hain. Keyword apky site ke topic ky mutabiq hony chahye. Agar apko keyword select krny main masla aa raha hon tu ap keyword suggestion tool aur software use kr skty hain, Seo elite, wordTracker keyword tool, aur Good keywords best software hain. external seo main 1st step Top search engines main site ke submissions hote hai. Jitny b auto visiter apke sites pr ain gain. Search engines sy he ain gain. Aur Top search engine main 1st google ata hai. Google main site submit krny kely www.google.com/addurl/ open kren. Url main apni site ka link, comments main site ke discription likh kr add url pr click krdain. best site sumbitting software webceo hai. Jo ap ap webceo.com sy download kr skty hain. Isky ilawa submitexpress.com aur addme.com main online apni site ko submit kr skty hain. Site submit hony ky 3, 4 din bad apke site search engines main show ho jai ge. Site submition apke site ko high trafic deny kelye kafi nain hai. 2, 3 Month bad again submit kren. ab main apko mazed tariqay btata hon jis sy ap apny site ke trafic increase kr skty hain. Sb sy pehly Backlinks. Backlinks ka sb sy best tariqa yeh hai ky kisi Top ranking blog main ap comments dain aur sath main details kelye ya software download kelye apny blog ka link dain. Kuch Top ky IT Forums sites main blog ky link ko as a signature use krna allowed hai ap wahan reply comments dain apky comments ky sath apky signature b show ho jain gain. Aur signature main apny blog ka pora link na dain, blky my blog ya simlpe m blog ka name likhen aur usy apny blog ky link ky sath hyperlink kr dain. Ghrapics ho. Usky bary main video bna kr usy upload kren. artical ka link apny blog ka dain. Aur fb wahan software request etc b pori kia kren. Html site kelye b share this on fb and twitter ke coding mil jate hai. Ise tara latest Ragister softwares, games, aur Latest Movies sy apni site update rkhen. Is tara apke site ko parmanent aur daily visit krny walo ke ta'adad barti jai ge. ny apni site ko buziness point of view sy bnaia hai ya ap apni site, blog ko sale krna chahty hain, tu olx main add dain. Trafic increase krny ka aik tariqa yeh b hai k ap apny dost ky sath usky blog pr link interchange kr lain. Ap unka banner apni site pr aur apni site ka banner uske site pr laga lain. online article likh kr aur pdf main books likh kr ap apni site ke trafic increase kr skty hain. Online kafi sites hain jahan article likhay jaty hain aur log daily un article ko read krty hain. Kuch log wahan sy article copy krky apni site blog pr copy paste krty hain is tara article main apky blog ka link jo dia hota hai. Usy b log visit krty hain. Yahoo answer aik ilmi comunity hai, jahan hr topic pr sawal aur jawab hoty hain. Ap wahan b apny blog ke add dain. mujay sb sy ziada torrent site sy trafic increat krny ka shok hai. Jb b koi latest Movie ate hai. Main apny blog pr un Movies ka online aur download link apny blog main search krky post kr daita hon. Aur torrent site main apny blog ka Movie link share kr daita hon. 3 Movies post ke then. Aur 300, 400 membrz aik week main a gai thai. SEO ka best way sms aur email markiting b hai. Sms markiting kelye sms caster software, chopaal, ourvoice 7111 aur twiter sms service aur sms signature hoty hain. Aur email markiting kelye bulk email sender jaise software use hoty hain. Mery pas Pakhackerz.com main 2000 sy ziada email adress ka data para hai. Isky ilawa ap google aur yahoo groups sy b kafi logo ko email send kr skty hain. posting, email ky through chale jate hai. Isky lye Feedburner.com pr jain wahan ragister ho jain. Wahan sy ap gadget ya coding apny blog main laga lain. Jb ap koi b posting kren gain apke posting apky subcriber ko auto email ho jai ge. Rss b feedburner ke type hai.. Rss alerts, toolbaar aur rss software main show hoty hain. Yeh email sy fast hai magar ziada tr logo ko rss receive krny ka nain pata. Geo, bbc news yeh b news alerts rss main b daity hain. Rss ka software install krny pr tray icon jahan time show hota hai news alerts ke updates auto show hote rehte hain. Aur ap jo posting kren gain unko ose waqat rss main notification mil jai ga.
Agar ap WebSite ya blog k Owner hai to apki ye khwahish hogi k apke blog ya WebSite ko log zyada Visit kary. Is k liye Aap ne kya krna hai.. Web ya Blog ko Promote krny se pehle SEO (Search Engine Optemizer) ki Cource ka mushahida krna zaruri hota hai. Web ya Blog ki Traffic brhane k kai tariqe hai, Pehla tariqa apne WebSite ya Blog ko Search Engine me shamil krna hai, Lekin is se pehle chand Settings krni zaruri hai, wo ye k apne Blog ya WebSite me META TAGS shamil krna hai..
Ab dusre Line me ye likey. In tmam Settings k bad ab Aap ka Blog/WebSite Search Engine me Add krne k qabil hogaya hai. Sub se pehle ise Google Search Engine me lagae. Yaad rakke k apki WebSite 1 Month k bad Add hogi is liye sabar karey. Google ahista ahista apke WebSite pe Crawling karega.